As much as I want to go out and buy new clothes I keep looking in my closet at all the clothes I never wear. Lately, I have sold and/or donated a few items but I still get that voice in my head that says “You MIGHT wear this again..”. To help fix this I am forcing myself to pull out items that I haven’t worn in a year and style them. It kind of makes me feel like I have something new to wear. 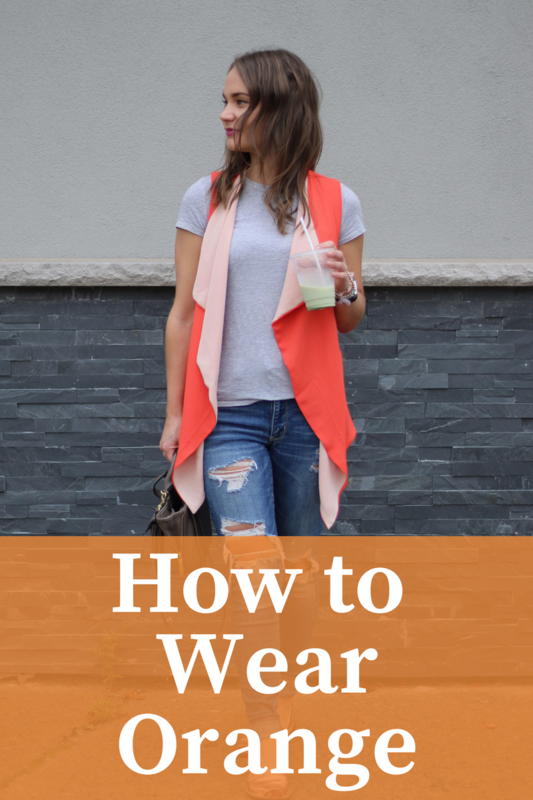 This orange vest is one of the first items I am starting with! I’ve had it for years it feels but for some reason I never wore it. Since it’s Thanksgiving weekend here in Canada, I thought it was the perfect time to wear it. I’m thinking the reason I never really wore it is because it’s orange. It’s such a different colour and can be harder to pull off. I also sometimes feel like I look like a pilon or pumpkin when I wear it! 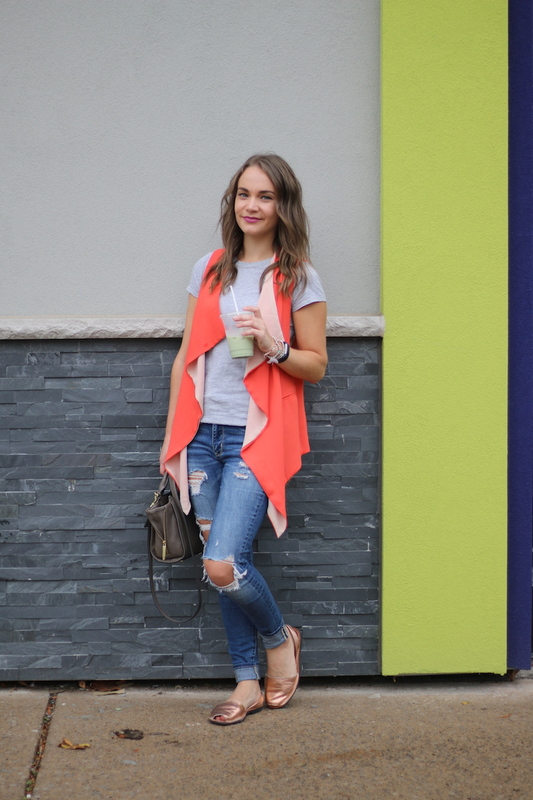 To style this orange vest I made sure to stick with other very neutral colours to balance it out. This meant going with ripped jeans, and a plain t-shirt. I also think a striped t-shirt underneath, a long sleeved one would be perfect for cooler weather. My green matcha latte also helped out as green and orange compliant each other. Not to mention the green wall I found too. It was meant to be!